Going for a picnic with your family offers an endless opportunity for enjoying the outdoors. However, you may find them a little inconveniencing especially if you have to sit on the hard ground. 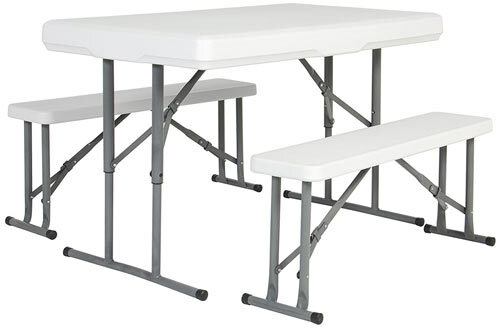 With the best folding picnic tables, you will get all the convenience and extra comfort you need. This table will offer you with the same convenience you get from typical tables you find at home. The best thing about these models is that they are foldable. This makes them easy to carry to your desired outdoor location. 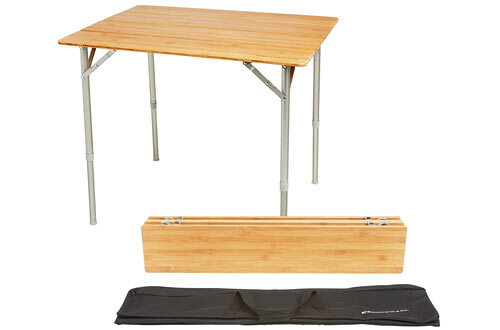 As mentioned earlier the main reason why you should pick these tables is, of course, their ease of portability. With this in mind, you the best model should not only be foldable by also light in weight. 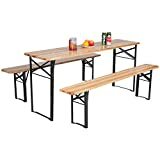 Additionally, this table should come with several features such as a large tabletop, attached seating, and sturdy support. Ensuring that the model you choose has these features will ensure that your picnic is more convenient. 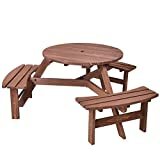 Selecting the best foldable picnic table is never a walk in the park especially when you consider the dozens of designs and brands available in the market. 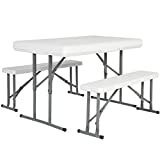 To assist you in making the best decision we have reviewed the top ten best folding tables on the market today. 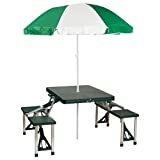 While Trekology is not as popular as many another brand that specializes in the manufacture of camping table, it is steadily earning a lot of reputation because if its high-quality camping tables. This company was started by several Ph.D. who all share a common interest in enjoying the outdoors. From the concept of design, selection of materials and manufacture, this product stand out from the competition. 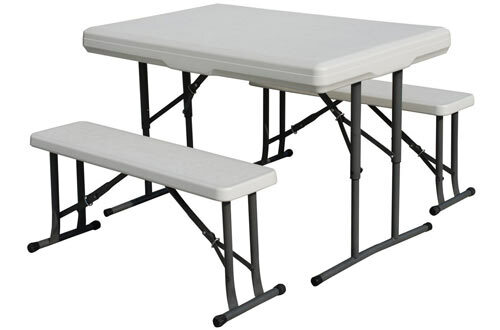 It is super lightweight and foldable so moving it to your favorite picnic site will not be a hassle. 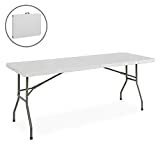 This portable table is a great activity table that you can use for parties, picnics, beach outing, tailgating, and camping s well as other outdoor social functions. 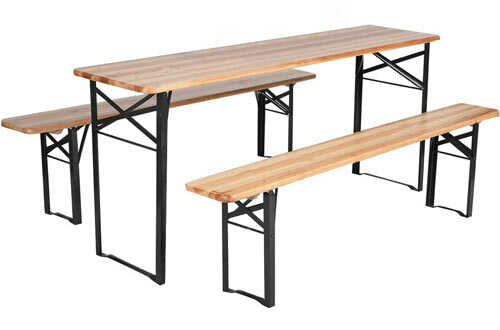 This table comes with a sturdy polyethylene top paired with tubular steel legs and frame. The frame and legs are powder coated to ensure durability. Additionally, this unit provides you with an ample space for four hungry campers to dine. 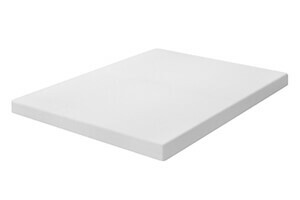 It is lighting weight and folds into a compact size, which can easily fit under a bed or closet. 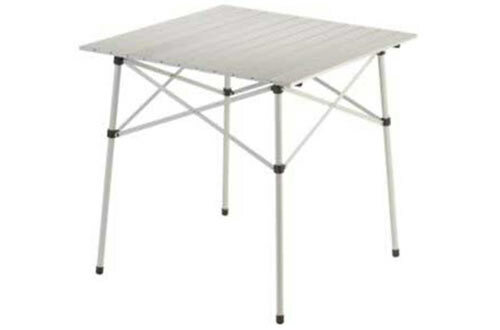 If you are looking for a portable table for both outdoor and indoor, choosing this model might be your best bet. 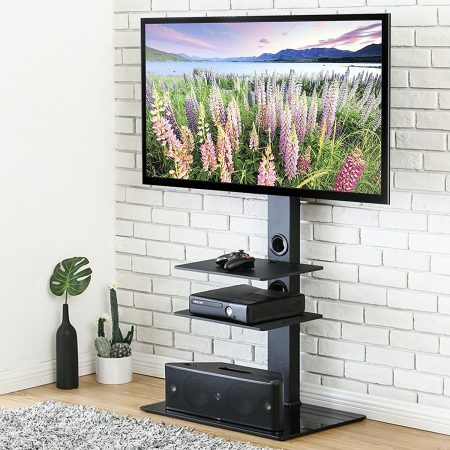 This is a perfect choice for individuals who would want something they can drag to the porch and work on their report or carry to a park whenever they would want to enjoy quality time with their family. The table comes with a one-piece design that folds and unfolds in less than a minute. It doesn’t require any assembly and comes with an easy carry size. That’s not all; you are also provided with a carrying case so transporting it will not be a problem. 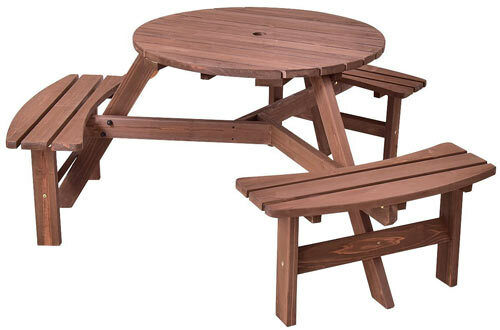 A low profile and elegant appearance make the Stansport picnic table a welcome addition to most family porches and dining areas. It is crafted from durable polyethylene materials with a little branching for additional tensile strength. Thanks to its innovative design, setting up takes less than minutes and accommodates up to four campers. Additionally, this unit also comes with sturdy benches that fold fully and nest to the table interior. 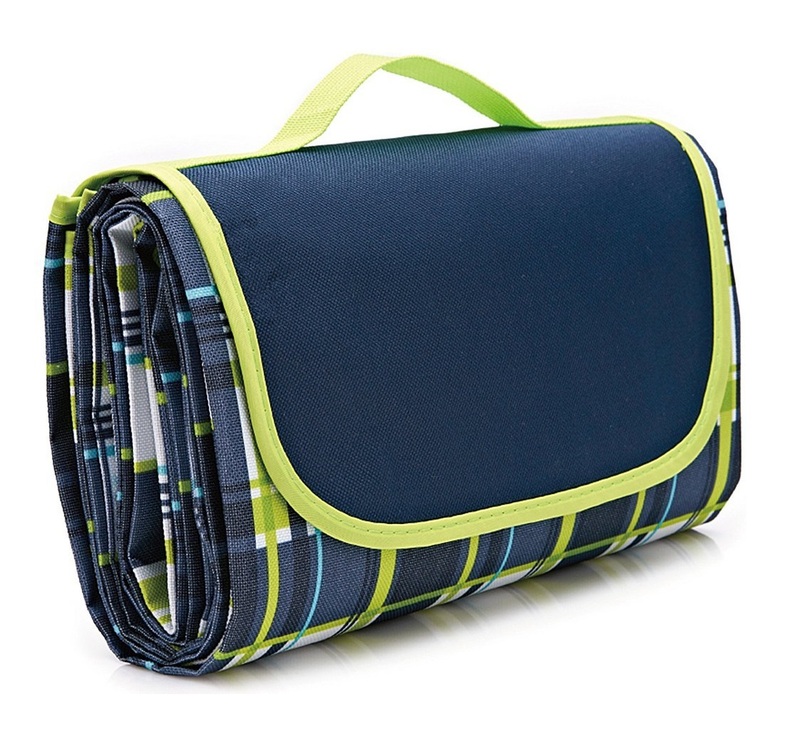 This gives it a compact fold that you can easily store and transport. This is another incredible model of Best Choice product. The table boasts of compact size which makes it easy to store and carry while steel is giving enough space for four people to set. It is made from sturdy materials making it long lasting even when used in the outdoors. The set comes fully assembled making it super easy to set up. Besides, the table surface is simple to clean, UV protected and waterproof. 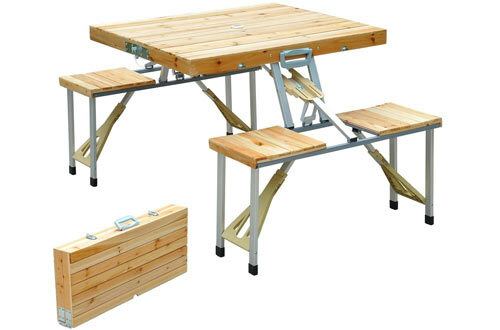 If you love spending time in the sun, it is wise to invest in this picnic table. This unit is n ideal choice for garden use, outdoor picnic, and camping. It is also great for whenever you need extra table and seats. 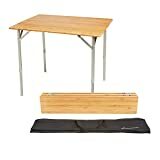 It features a compact fold-out table with bench seats that you can carry and set up almost anywhere. 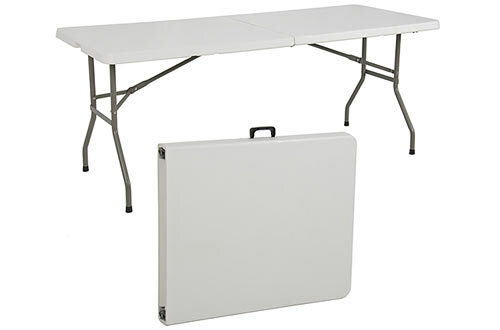 Besides, this table comes with a carrying case, making it easier to store and transport. Designed for individuals looking for a table they can always bring on the go, the Giant table bench will exceed your expectation. You can use it practically for any outdoor activity. From enjoying beer with friends, playing games with kids, or enjoying lunch on the beach, this is a perfect choice. 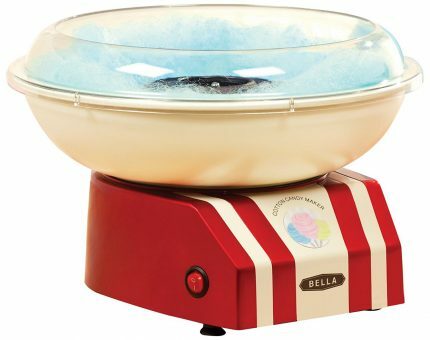 The model comes with a sturdy and easy to clean tabletop. The benches are sturdy and accommodate up to four people. Having been in existence for over a half a decade, Coleman brand has remained true to its goal of providing high quality and eco-friendly products for their customers. 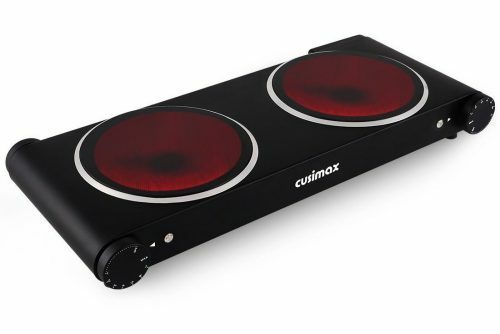 This is one of the best selling products thanks to its compact and simple setup. 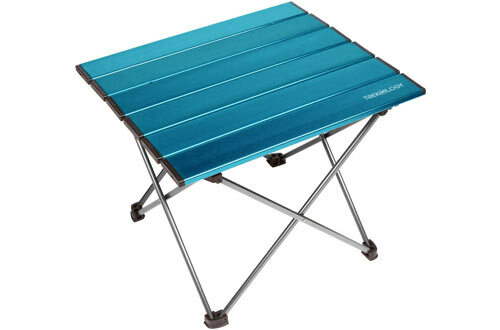 Weighing less than ten pounds, carrying this table to a campsite will be easy. 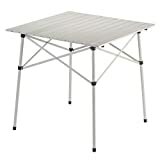 Whether you are having a backyard party, hosting a tailgate or planning a picnic, this folding table from Stansport will make entertaining a breeze. It features anodized locking aluminum frame that ensures durability and stability while remaining light in weight. 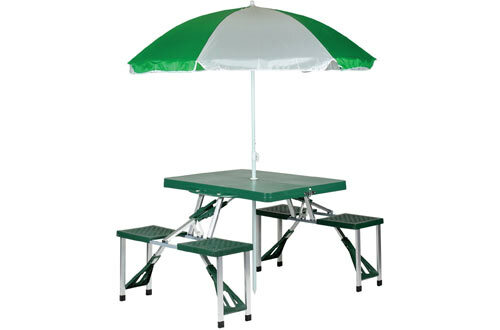 As an added advantage, this table comes with an umbrella that shields the user from excess sunlight.